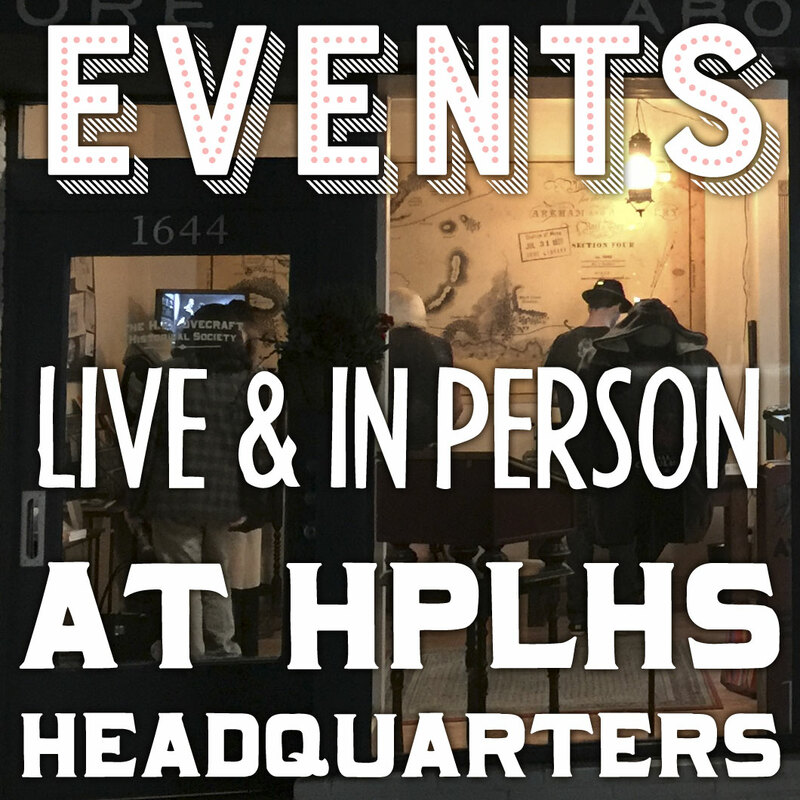 From time to time the HPLHS hosts live events at its global headquarters in Glendale, California. This page shows upcoming events. Due to limited space and other resources, most events will have limited attendance and require tickets. Many of the tickets are free, but to claim one you MUST CLICK THE LINK in the event description to go to our online store, where you can claim or buy a ticket through the checkout process. 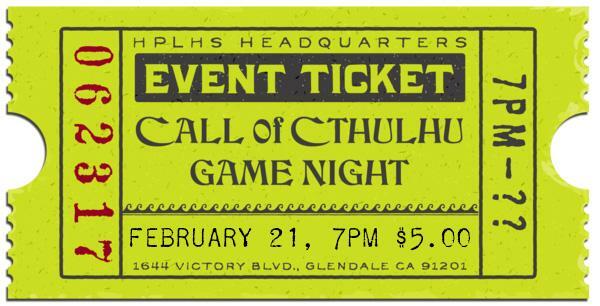 Join Keeper of the Arcane Lore Sean Branney for another evening of tabletop RPG gaming at HPLHS Headquarters in Glendale, California on Thursday, February 21 at 7pm. The good folks over at Chaosium have given us a sneak preview of a new scenario they're getting ready to publish and we thought we'd take it out for a test drive. No previous experience with Call of Cthulhu™ is necessary. NOTE: To discourage those who book a seat at the table and then don't show up, we've had to implement a policy of charging for gaming reservations. For your $5 fee, you'll get a seat at the table and we'll provide tasty refreshments! Seats are limited and reservations are required. Book your ticket now.